Redfish Bluefish is an open air fish and chips restaurant housed in a former cargo container. 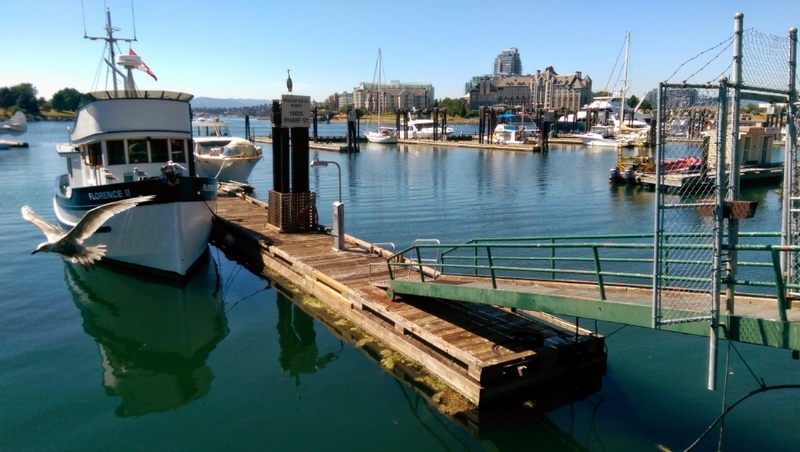 It is situated on the Broughton Street Pier with covered and uncovered outdoor seating. It is very popular with locals and tourists alike, and in the summer months there is a steady line-up throughout most of the day. Serving a variety of seafood dishes approved by the Ocean Wise program, the dishes are made fresh to order. The menu boasts fish and chips, chowder, jerk seafood poutine and sandwiches, including and Oyster Po'Boy. They also serve an assortment of seafood tacones, which can be mixed and matched. The line up can be long but there is a beautiful view, seaplanes and people watching to be done while you wait. Once you get to the counter you place your order and they will take your name. Usually your order will be up in 5 - 10 minutes. Redfish Bluefish uses compostable containers, cutlery and napkins in-keeping with their sustainable approach. 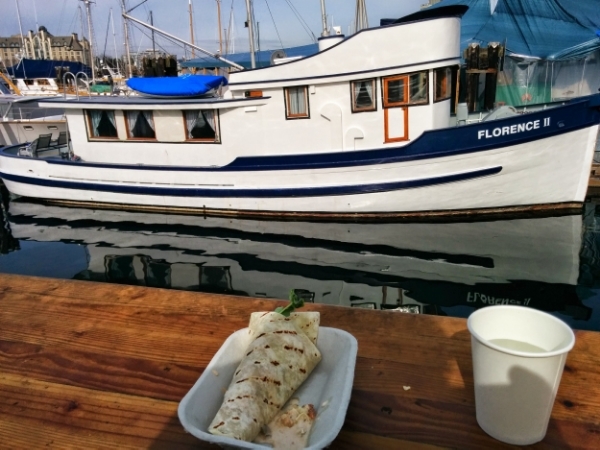 They are located at 1006 Wharf Street, at the base of Broughton Street, down on the pier. Park on one of the two lots located either side of the pier below Wharf Street. Red Fish Blue Fish is open 7 days a week from 11am to 9pm.